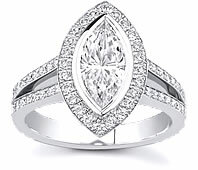 Engraving your ring would be an unusual and contemporary take on an ancient wedding tradition. A message concealed within a wedding or engagement rings can be as unique as the wearer. For centuries, love messages have been engraved in rings. These varied from simple mottos and words of commitment to more complex messages written in code. 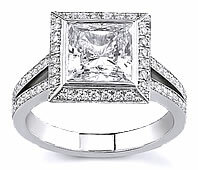 This tradition has recently regained popularity with many couples now desiring to engrave their rings. It can be quite challenging to find unusual ideas. Yet, with a bit of thinking, discovering unique alternatives to the traditional idea can be fun and romantic. 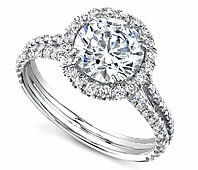 Given below are a few lovely, yet traditional ideas for engraving your engagement ring. Use symbols instead of letters, or inscribe a numerical code. This could be taken a step further with the numbers represented as a bar code and engraved onto the surface of the ring. Translating a traditional phrase into another language, perhaps Chinese or Arabic would make a great alternative and offer something a little different. Choose a symbol and have it engraved over the two rings. 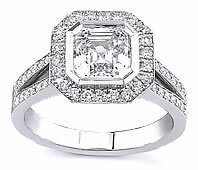 The fact that the symbol only becomes clear when the two rings are held together makes the engraving extremely special.